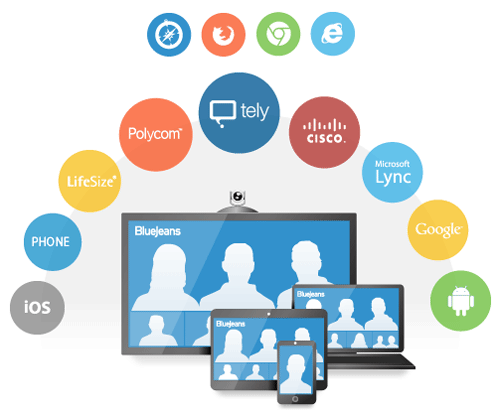 The Blue Jeans video conferencing service enables businesses to access high quality video collaboration beyond the boundaries of dedicated conference rooms and hardware investments. End customers simply need a Blue Jeans account with a video-enabled device and Internet access to start collaborating via video! No video hardware and software investment required! Because of the simplicity and immediate return on investment available, VARs, AV resellers and conference specialists choose to offer Blue Jeans services to their customers. The wide interoperability options make adding Blue Jeans to an existing video conferencing business, a game changer, bringing new sales opportunities and recurring revenues.